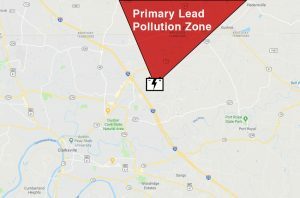 Clarksville Tennessee May Soon be the Most Toxic Town in the U.S.
Clarksville May Soon be the Most Toxic Town in the U.S.
With Clarksville Tennessee already ranked 24th for the most toxic city in the United States, it may soon become number 1. With it already having a Fossil Plant in its backyard in Cumberland City, which has been ranked the worst mercury polluter in the country among coal-fired power plants in the U.S. And along with the Zinc Plant that’s within city limits. With those two already and now with AtlasBX Battery Plant Factory soon to come to town. The synergic toxicity effects of these toxic heavy metals will undoubtedly have significant negative effects on the health of this community. Here at the Wild Doc, we fight for the truth and rights of people, so they can live in freedom and freedom from anything that might hinder them from reaching their God-given health potential. Please share the truth and together we will save lives! This is the area in Clarksville that will be directly affected by the lead pollution. 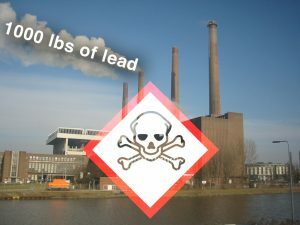 Curious about your lead/heavy metal toxicity? Click here for a free 15 min consultation with the Wild Doc when using #GetTheLeadOut when you submit the consultation form! Southern Environmental Law Firm Threat to Sue TDEC, TVA, and EPA over Cumberland Fossil Fuel Electric plant due to Violations of Clean Water Act.